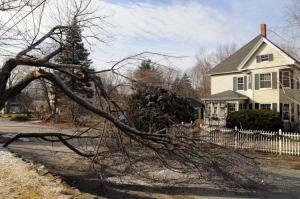 Anyone who’s ever experienced a storm and owns property might have also experienced the huge headache it is to have trees that have fallen blocking your driveway or entrance… It can be quite annoying and a large disruption to your everyday life, not to mention a major safety hazard. We know how it is and that’s why we provide fast service to those in need, especially after a storm. We also offer emergency services after 7pm because we know that storms and complications have a way of happening at the worst times.. rest assured we’re there to help… no matter what time it is!